Sorry, sorry. Another independent bottling that you’ll never see on a shelf, and are unlikely to want to drop more than $80 on if you did see it. Why? Because I’m digging into my tasting note archives to rush this out the door while working on a revamp of my site’s theme to make it mobile-friendly. That’s my excuse and I’m sticking to it. I’ve become more and more interested in Bowmore. While the distillery standard 12 year ended up with a “Just OK” rating from me, I’m constantly tasting Bowmore special editions like Devil’s Cask, NAS offerings like Small Batch and the affordable Legend, and independents like this one, and being very impressed. After a few bottles of Ardbeg and the other peat-forward drams, I’ve found that I like my peat to be in harmony with the malt and not shouting over it. I also appreciate the rounder, softer peat in Bowmore rather than the edgier, harsher, smokier peat in Laphroaig or Talisker. I have to be in “the mood” for Talisker or Laphroaig. Not so for Bowmore. 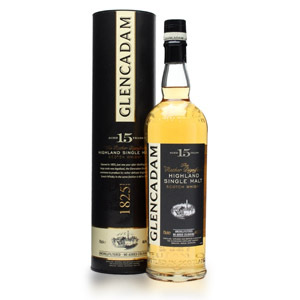 This particular 12 year-old independent bottling from Exclusive Malts, imported by ImpEx, was aged in a refill sherry cask and bottled without coloring or chill-filtration. Thanks to Katia at ImpEx for providing the sample. 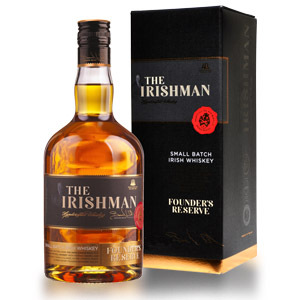 Nose: Leather, orange furniture polish, and a muddy, marshy peat meet the nose first. Clearly this is sherried, but the sherry effect is that of a much older cask – concentrated, meaty, resiny, and with a fat helping of rancio (past balsamic and verging on rotting fruit). The peat is actually out-performed by the rancidity of the sherry. I’m not certain I would be able to tell this was peated in a blind tasting. Palate: Big and fiery, at first, then fruit-forward, with figs, raisins, and prunes. A milder level of rancid notes, thankfully, serving instead to underscore the “old” flavor of the sherry and making the whole dram seem older. The peat still does not assert itself. Finish: Much more leather, supple and accentuated by fading fruit notes. Peat peeks in at the end, but is still overshadowed by the remnants of rancio. Not bitter. With Water: A few drops of water lessen the intensity of the nose, but don’t yield any new notes. The tongue burn is tamed, and a bit more orange oil appears on the tongue. Try both with and without water. Diluting it to 46% makes it eminently more drinkable, but the intensity of the sherry is lost, and the overall effect is forgettable. Overall: Who knew this was going to be a sherry-bomb? Sherry notes that I’d associate with a 20+ year-old sherried malt, meaty and resinous. The peat is nowhere to be found, or so outperformed by the sherry that it instead melds into the background. I would recommend this to sherry buffs, especially those who enjoy the meaty/rancio side of the sherry spectrum. Alas, the price on this is a little optimistic. I’d happily pay $50 for a 12 year-old Bowmore with these characteristics, but not $80 and especially not more than $100. 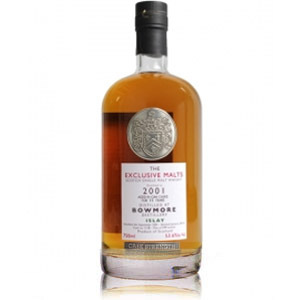 Still, if you’ve got money to burn and enjoy both rancio sherry and Bowmore, you’ll enjoy this one for sure. For everyone else, this is a “Try before you buy”. 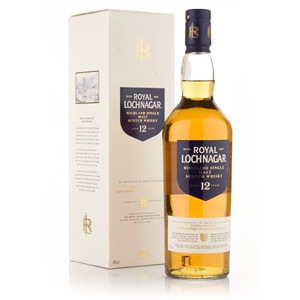 Exclusive Malts has put out some good single cask bottlings, but the prices kill the QPR. I really liked the 2001/2013 Bowmore that they did, but again, I’m not willing to pay over $100 for a 12 Year. That’s my feeling as well. One’s value proposition as an independent bottler is the ability to choose and retail interesting, unique, or high-quality casks that are “better” or more specialized than the official distillery bottlings. However, unless you’re counting on the majority of your sales coming from tasting events (unlikely), you have to throw your customers a bone to convince them to buy blind. That means attractive pricing and slimmer margins, unless you have a super-human reputation of offering 100% reliable satisfaction. I don’t know of any bottler with that kind of reputation. From your other Bowmore reviews, it seems like you favor the Small Batch? what would you say is your favorite? What about the 18yr? would you say that the Bowmores has some campfire or cigar ash smoke flavor to it? And which single malt , in your many experiences, has this kind of smoke? The Bowmore ‘Darkest’ 15 year was my favorite so far, with the 10 year-old ‘Devil’s Cask’ close behind (although I think it’s overpriced). I haven’t yet had the 18, unfortunately. So many whiskies, so little time! I think Bowmore has a muted, campfire smoke unlike the seaweedy peat of Laphroaig. Ex-bourbon Bowmore is closest in style (I think) to Caol Ila, but the heavily sherried Bowmores aren’t like anything else I’ve had, except maybe the Lagavulin Distiller’s Edition.